This week marks my twenty-first post for the year of my Bok Bingo challenge, which has been chugging along well. So well in fact, I’m whipping through my second card quite rapidly, with a few squares to be decided and written up. 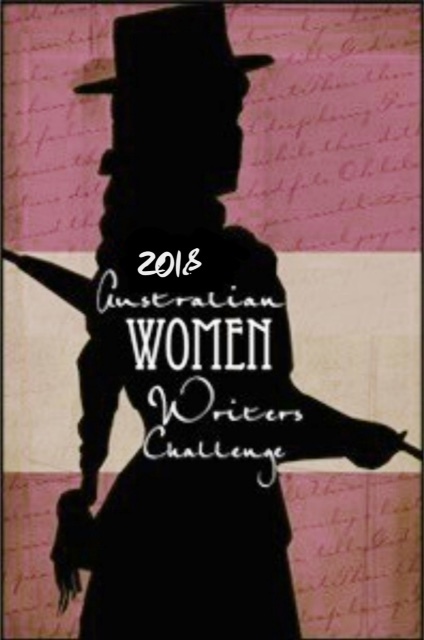 For this post, all three books are by Australian women, scoring a hattrick for the post and overall Australian women writers challenge. In fact, many of the books for this year could have ticked off the book by an Australian woman over sixty times. At this stage, I have read and reviewed sixty-four books by Australian women, with more to come. First off, is a picture book, and this fills in the square for a funny book. Archibald, The Naughtiest Elf in the World Goes to the Zoo by Skye Davidson, published by Elephant Tree Publishing, slots into this category nicely. When Archibald decides to go to the local zoo, he is quickly spotted by the zoo keeper selling tickets and is told to behave himself – poor Archibald tries to be good, but he always seems to be getting into trouble – whatever he tries. At the zoo, all he wants is for the animals to be able to play with each other. What happens next is charming, hilarious and so magical, children will delight in reading this with someone or on their own as they learn to read independently. A story well worth trying to get your hands on. Second up is a book that scares me. This one is a debut novel by Katya de Becerra – What the Woods Keep, and for those who embrace the macabre, it is perfect. Filled with hints of science fiction, mythology and dark fantasy, it compels you to read on, lulling you into a false sense of safety until you hit Promise, and quite literally, all hell breaks loose. The woods are a terrifying place, where big bad things happen. People go missing or die. They are swallowed up whole by the environment and never heard from again. It is a chilling, intriguing book that will keep you awake at night, wondering what to expect next. Though you’ll want to set it aside to recover from what has just happened, you will also want to continue reading to see how it plays out for Hayden and to finally feel your heart start beating at a normal rate again. Horrifying and intriguing, this is a great book for those in search of a spooky tale. Finally, we get to what has to be one of my favourite books of the year, because it combines feisty girls and fairy tales, and my little nerd heart couldn’t have been happier, having studied fairy tales at university, and developing a love for them in their raw, unabridged forms, with the lopping off of limbs, dancing in red hot shoes and thorny punishments, to the various retellings that have sanitised them or taken them to the absolute extremes, to the fairy tale retellings that are coming out in abundance these days in various genres, in particular the fairy tale infused historical fiction written by Kate Forsyth. So for the short story square, Susannah McFarlane’s book, Fairytales for Feisty Girls captures this spot. Susannah has taken well known tales – Little Red Riding Hood, Cinderella, Rapunzel and Thumbelina – fairy tale girls who have previously been acted upon, and passive in the original oral tales and Brothers Grimm versions – and allows them to act for themselves. Rapunzel is an inventor, using the things Mother Gothel brings her to create things to help around the house, much to Gothel’s horror. Red Riding Hood and her grandmother outwit a wolf, Thumbelina finds her way home and Cinderella makes her own fortunes with the glass slipper. Each girl does something using the key aspects and symbols of the original tales to save herself, showing girls of all ages that they can be who they want, do what they want and that they don’t need to wait for the prince or woodsman (who, funnily enough in this story, has lost his axe), to save them. Wrapping book bingo 21, and moving onto book bingo 22 in a couple weeks. The second last square I have to fill for this book bingo round is a forgotten classic. For this square, which completes Row One Down and Row Four Across, I read Selected Stories by Katherine Mansfield – the Oxford University Press edition in their World Classics series. I’m doing something a little different this time, including a full review rather than a summary of one for this book. Virginia Woolf was not the only writer to admire Mansfield’s work: Thomas Hardy, D. H. Lawrence, and Elizabeth Bowen all praised her stories, and her early death at the age of thirty-four cut short one of the finest short-story writers in the English language. This selection covers the full range of Mansfield’s fiction, from her early satirical stories to the subtly nuanced comedy of ‘The Daughters of the Late Colonel’ and the macabre and ominous ‘A Married Man’s Story’. The stories that pay what Mansfield calls ‘a debt of love’ to New Zealand are as sharply etched as the European stories, and she recreates her childhood world with mordant insight. Disruption is a constant theme, whether the tone is comic, tragic, nostalgic, or domestic, echoing Mansfield’s disrupted life and the fractured expressions of Modernism. This new edition increases the selection from 27 to 33 stories and prints them in the order in which they first appeared, in the definitive texts established by Anthony Alpers. The edition I read was published in 2008 and can be bought for around $19.95. The 33 stories are set in the years before, during and just after World War One, and they give glimpses into a life and society that Katherine grew up in, capturing moments in time – and that therefore, need to be understood in the context of the time and place Katherine was writing in – an early twentieth century England, after a childhood spent in New Zealand, experiences that would have contributed to her world view and the way she wrote. Each story is its own entity, though there are three or four that involve the same family, and are connected but can also be read as lone stories as well as consecutively and still understood within their individual and collective contexts. Like many writers, Katherine Mansfield was influenced by the time and places she lived in, and the Great War – a war that inspired many authors, including Katherine’s friend and admirer, Virginia Woolf. I first read several of these short stories during an English course, and read the rest for the book bingo challenge this post is part of. Of all the classics, I have found that not as many people know about Katherine Mansfield compared to other authors such as Jane Austen, Virginia Woolf, and May Gibbs – which is why I have slotted her into this square for this bingo round. Prior to a university course, I had never heard of her, and I feel she is one of those authors who deserves more recognition.